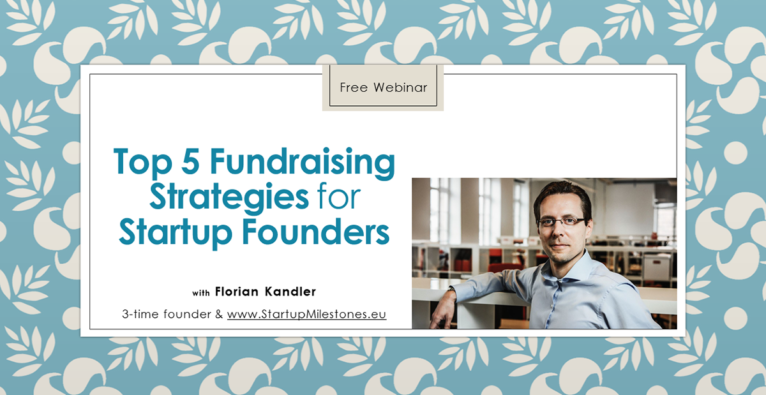 Serial entrepreneur Florian Kandler answers the most outstanding questions about fundraising for startup founders in a free webinar on June 21st 2017 at 6 pm. Finding an investor can be hard. Finding the right investor is even harder. Three-times-founder Florian Kandler shares his knowledge and experience in a free webinar. Thereby he gives a glance of what you can learn in his masterclass and answers questions of the audience. How you pick the right investor! And avoid the bad ones! This is an exclusive LIVE session, where I give a sneak peek into Fundraising Masterclass. I show some of the most popular strategies, that worked for myself and my mentees. INCLUDING live Q&A.